At previous post, we showed some of the most unusual places on the island worth visiting, some more known and others not so much but all, highly recommended. In this case, we will continue going through the north of Ibiza to continue discovering the magic that this part of the island entails. We will start visiting the mythical town of Sant Carles, a town full of charm, where you can enjoy authentic homemade Ibizan Herbs. 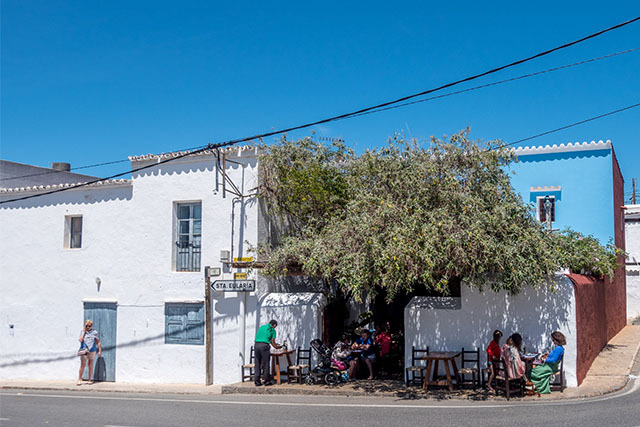 These are made in the restaurant Ca n’Anneta, the most traditional bar in town where neighbours and visitors enjoy a drink or a tapa in a relaxed atmosphere and in the shade of its cosy terrace covered with vines. Sant Carles is also the home of the acquaintance hippie market of Las Dalias, so when you finish tasting your cup of Hierbas, do not forget to stop by. Famous on the island for having all kinds of artisans and artists, here you can buy from ad-lib clothes, soaps, bracelets of all colors and even works of art. It will be the perfect place to buy that special gift for a loved one that you want to take a piece of Ibiza. It will be open every Saturday during the day, on Mondays and Tuesdays during the night and on Sundays in August as well. 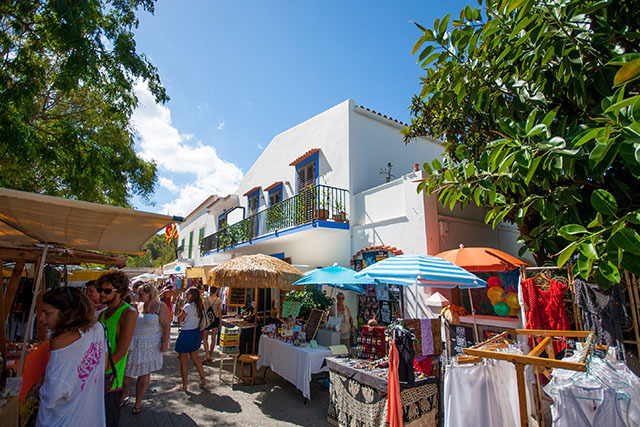 Another place to do your shopping that you can not miss is the craft market of Sant Joan de Labritja, whose stalls are spread throughout the square to offer a morning full of activity. There is a wide variety of stands but those that stand out, without a doubt, are those of indigenous crafts and those that offer organic products such as vegetables or honey harvested in Ibiza. A place to be carried away by the aromas and flavours of the island. And the day should continue with a more than expected bath in the Mediterranean. We are in luck because the north zone enjoys a varied coastline, where you will find beaches like Es Figueral or Portinatx, perfect for families looking for accessible services and a good area of ​​sand where children can enjoy. 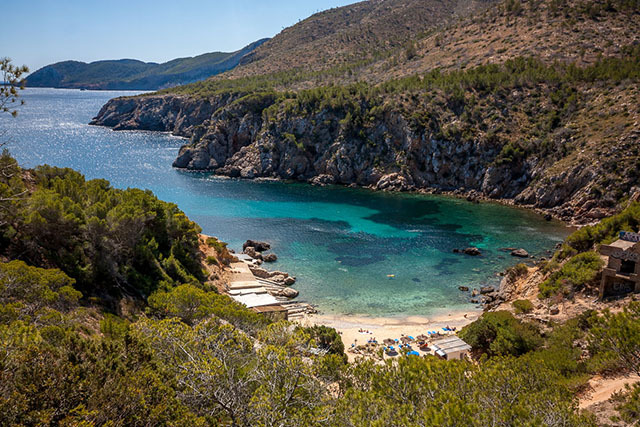 But there are also hidden coves like Caló d’en Serra, which has spectacular sea beds where you can snorkel or s’Aigua Blanca, of colossal beauty and hidden under a large cliff. And for the more adventurous, there is nothing like a short excursion to es Portitxol, an authentic fishermen’s cove in the costa de Sant Miquel which can only be accessed after a short walk that will be worth it when you discover this unusual place. 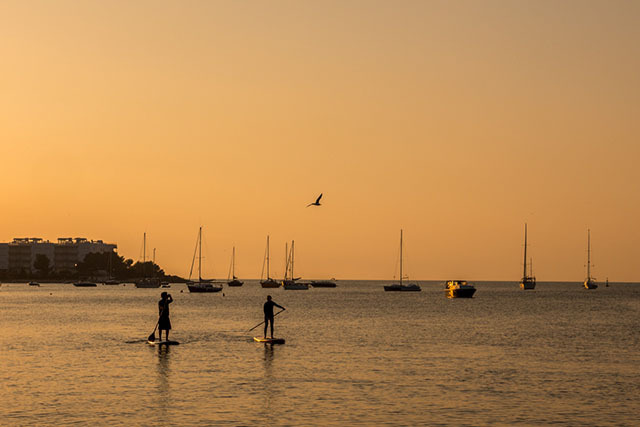 Keep in mind that at any of these coves you can enjoy a perfect day of sun and beach, but there is also a wide range of water activities to enjoy these places. A very interesting proposal, for example, is to make an underwater getaway with the diving school Subfari, located in Portinatx. They will be happy to show you the beauty that exists also under the sea of ​​Ibiza and the precious Posidonia Oceanica, treasure and heritage of our seas. In this same beach you will also find various services for renting water sports equipment as exciting as the kayak or the increasingly known Paddle Surf, perfect activities for a short excursion on the north coast. A very successful place to dine is the restaurant Es Caliu where it merges traditional and the avant-garde. 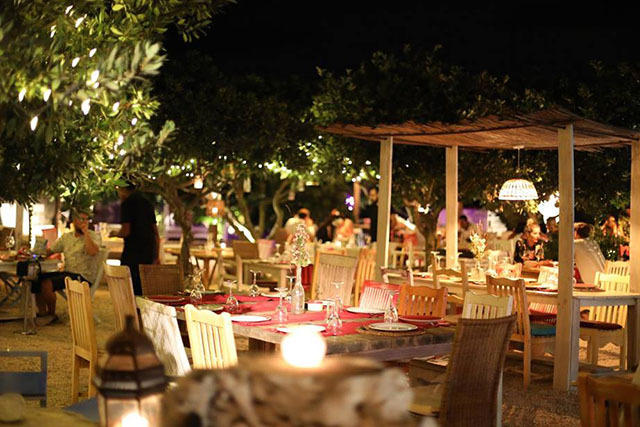 It is located on the Sant Joan road, surrounded by different fruit trees such as orange trees, and has a cosy lighting that gives the environment an authentic magical atmosphere. It is an ideal opportunity to get to know the most traditional dishes of Ibizan cuisine, the fresh touch of the author’s cuisine. Also in their Cocktail Garden you can try a wide variety of signature cocktails and other refreshments, all in a tranquil and relaxed atmosphere with live music on certain days of the week. Es Caliu is ideal for any relaxing evening in privacy with your family, friends or partner, by candlelight and in a romantic setting. There’s nothing like sharing good times with the people you love!